Rachel Kay Bond lured her ex boyfriend into the woods where her current boyfriend jumped out and beat him to death. His body wasnt found for a while and he was almost unrecognizable. In court she said she hadnt wanted him to die, just get beat up. But that did not convince the jury. Police said it took jurors 75 minutes to decide Rachel Kay Bond was guilty in the death of her ex-boyfriend, Robert Oscar Davis. 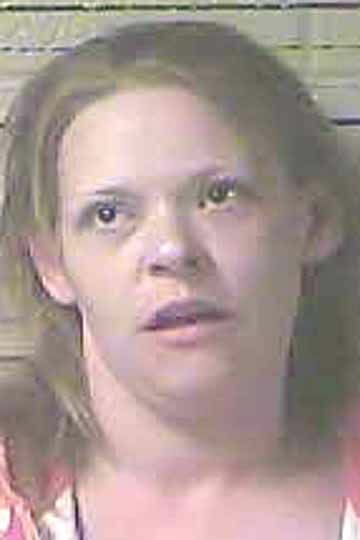 Bond, 33, of Five Points, Tennessee, was automatically sentenced to life in prison but with the possibility of parole. Under Tennessee guidelines she must serve 51 years before becoming eligible, according to court officials. While researching this case, I found an older news report where Rachel had been arrested in January of '13 because her two daughters had found her passed out on the bed with a bottle of pills, which they took a few of. The grandmother found them and took them to the hospital after which Rachel was arrested. This woman was a train wreck waiting to happen.